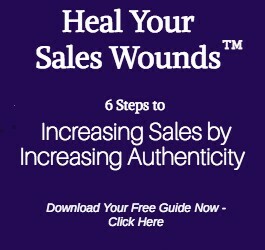 The part of the sales process that causes a lot of blockages is the close. But it’s entirely possible to close the sale – and become a very powerful closer – and do it from a place of integrity, authenticity, and heart-centered service to the person you’re selling to. One of the great ways to do that is by asking great questions – and that’s what we’re going to talk about in this video. Most business owners who use questions as part of their sales process are using this beginner-level questioning technique. How big is the home? What size is the mortgage on this home? Is the home currently occupied? This is a perfectly acceptable technique, and of course you have to have some factual information about your potential customer in order to effectively sell to them! At the end of the video I offer several specific questions that I like to ask that are very powerful at eliciting the kinds of facts you really need to know in order to be able to close the sale. The simple act of asking questions – especially open-ended questions that get the other person talking for a bit – is a great way to build rapport in a sales conversation. (Rapport, if you happen to be very new to sales, is a term we use to describe the trust and good will that’s essential for anybody to say yes to whatever it is you’re selling). The reason questions are so good at building rapport is that it gives the other person a chance to do one of their very favorite things – talk about themselves!! When you ask a person to talk about themselves, their situation, their challenges, their hopes and dreams … they start to feel that YOU are really interesting to talk to! They like you more, they enjoy the conversation, they relax and open up. All good things, when we’re having a selling conversation. But here’s a big mistake! I often hear business owners and salespeople start out asking great questions … but then interrupt the person partway into their answer. When you interrupt a person when they’re trying to answer your question, you actually decrease the rapport they feel with you. Here they are, excited to tell you all about themselves and their problems … and you’re stopping them. And why are you stopping them? Because you want to talk about YOURself! How do you avoid this mistake? I recommend keeping a piece of paper in front of you. Then when the person is answering your question, jot down not only their answers but also jot down the responses that are coming to your mind. That way, you know you won’t forget the feedback you wanted to offer them, or the additional points you wanted to make about how your product or service suits their needs. But you’ll also be able to let them continue talking. A rather advanced questioning technique – one that’s most useful when you’re already a skillful salesperson – is to be listening for clues about the person’s personality when they’re answering your questions. While this isn’t technically a question, it served the purpose of getting the other person talking. And what I was listening for in their answers was how they answered the question, and what that would tell me about their personality type. Personality types, based upon the DISC personality system, is a whole study onto itself. But for the purposes of this video, I’ll simply say that different personality types respond to very different core motivations. For this reason, you need to use a different closing strategy on a high-D personality than you would on a high-S personality. This means she’s family oriented and other-focused. She’s a giving person who will do a lot more for others than she will for herself. To close the sale, turn up the volume on how this decision will be a win-win for everyone she cares about. She likes status quo, and is hesitant to change. This will be the crux of her objections – the disruption, uncertainty and risk involved. She most highly values her career and her accomplishments. Only 10% of the population overall are this personality type, and a small percentage of women. These are executives, leaders, people who like to be in charge. To close this person, you must be direct and to the point. You can blow the sale by talking too much, providing indecisive answers or wasting their time. If they have objections, it will either be a) legitimate questions about whether or not your product or service is a good fit for their needs or b) doubts about your personal competency. They might not say it outright, but this personality type relies upon their trusted advisors to make important decisions. If they aren’t impressed by you, they won’t buy from you. She most highly values her social activities, and the people who are in her life. This person can be a fantastic member of a team, but they can also be a little bit flaky or flighty. The upside is, they’re very social and they love people. To close this person, you have to emphasize the fun, social nature of whatever they’re buying. If there isn’t one – if you’re selling toner, for instance – then you yourself have to be bubbly and fun, and seem like someone they’d like to hang out with. A high-C person may very well respond to an open-ended question by saying, “What do you mean by that?” In other words, she asks you to clarify your question because it wasn’t specific enough for her taste. This person loves data and facts. Before they can make a decision – before you can close them – they need to have all the information, and they need to have completely analyzed all aspects of the decision and its ramifications. In answering this question, they’re going to tell you exactly what you need to tell them to close them. They’ll tell you all the things that went wrong before; so all you need to do is assure them that all those things will go right with you – and the sale is yours. As they answer that question, they’ll get into a very emotional state. By turning up those emotions they’re experiencing, and showing them how you’ll help them to achieve these emotional outcomes they’re after, closing the sale becomes quite effortless.